Clones? Doppelgangers?The cast of Rêveurs Définitifs seems increase, thanks to some visual trickery. So what is this “Magie Nouvelle” (new magic) anyway? 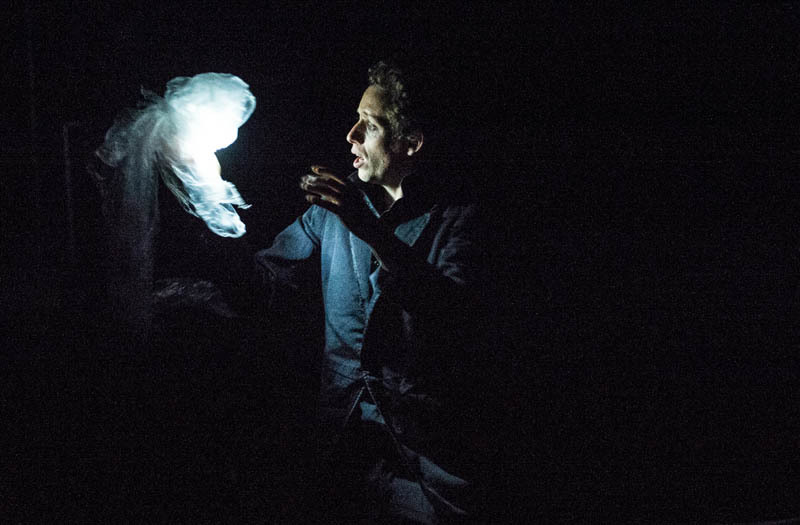 Based on my experience at the show Rêveurs Définitifs, now on at Montreal’s Théâtre St. Denis, it can include ethereal songs and dances, in which dancer Ingrid Estarque floats above the stage; a flying, ghostly orb; and multiple versions of the performers interacting with each other, thanks to holography, and other mysterious trickery. Besides all that, there’s still room for more traditional elements, like doves appearing out of clean air, jokes, card tricks, and audience participation. The songs are performed by local musical hero Patrick Watson, by the way, and pianist Isabelle Mathieu provides live music for many of the acts. The show was created by Raphaël Navarro for the Théâtre du Pond-Point in Paris. Other performers include Éric Antoine, Étienne Saglio, Yann Frisch. Don’t freak out if this “creature” flies over your head! The show is entirely in French and I must confess that I did not catch every last joke during the card-trick section. Perhaps that’s because the performers were talking very quickly, or maybe I’m just a dumb anglo, who knows? The show is mostly a visual spectacle, so an attendee’s language skills (or lack thereof) don’t matter much at all. Even if you don’t speak French, don’t worry, you’ll be fine! Those who do understand French can read more reviews of Rêveurs Définitifs on the web sites of La Presse, Montreal TV and Le Devoir. 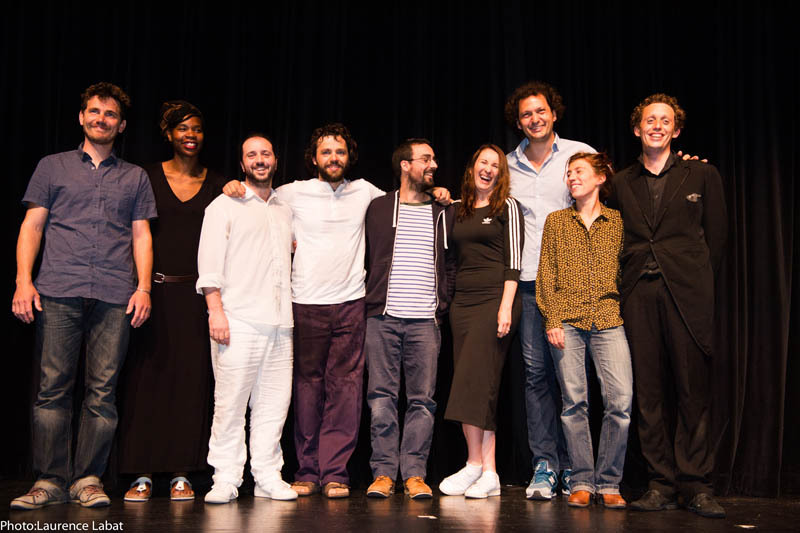 The cast of Rêveurs Définitifs. Rêveurs Définitifs is part of the Just for Laughs Festival Juste pour rire. There are performances every night at 8 p.m., at Théâtre St. Denis, 1594 St. Denis, until July 15, 2017. There will be a 4 p.m. show on July 15 as well, and three 4 p.m shows on July 20, 21 and 22. You can buy tickets online, or at the theatre. Théâtre St. Denis is quite close to the Berri-UQAM metro station.